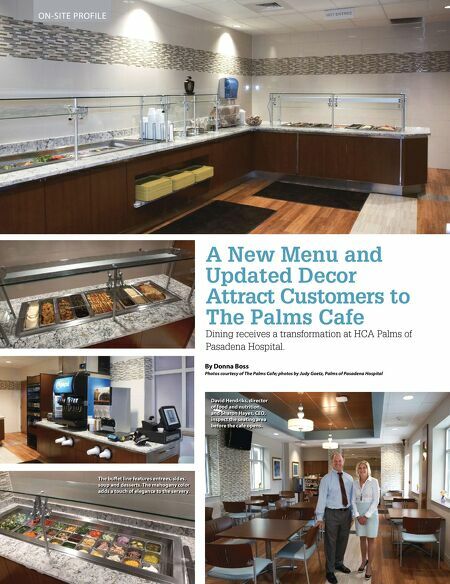 ON-SITE PROFILE A New Menu and Updated Decor Attract Customers to The Palms Cafe Dining receives a transformation at HCA Palms of Pasadena Hospital. 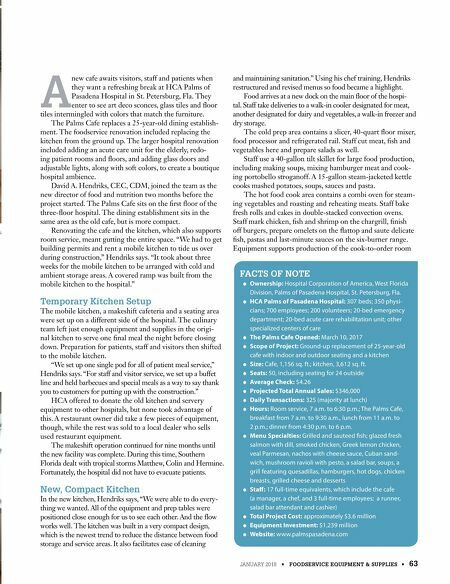 By Donna Boss Photos courtesy of The Palms Cafe; photos by Judy Goetz, Palms of Pasadena Hospital The buffet line features entrees, sides, soup and desserts. The mahogany color adds a touch of elegance to the servery. David Hendriks, director of food and nutrition, and Sharon Hayes, CEO, inspect the seating area before the cafe opens.